Running on Pixie Dust: Toy Story 4 First Looks!!! Toy Story 4 First Looks!!! 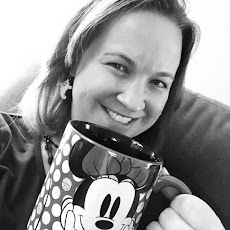 I'm still crying over the ending of Toy Story 3 when it premiered in 2010, and now Buzz and Woody fans around the globe are preparing for another emotional journey with our favorite toys and some new friends when Toy Story 4 hits theaters in June 2019. How great is it to see all of our friends reunited again?!? And if that teaser trailer wasn't enough, an adorable teaser trailer reaction video was also released which introduced us to two new characters - Ducky and Bunny - in addition to Forky! Ducky and Bunny are voiced by famous funny men Key and Peele and add yet another splash of comedic stardom to this cast. Woody has always been confident about his place in the world and that his priority is taking care of his kid, whether that's Andy or Bonnie. But when Bonnie adds a reluctant new toy called "Forky" to her room, a road trip adventure alongside old and new friends will show Woody how big the world can be for a toy. Directed by Josh Cooley ("Riley's First Date?") 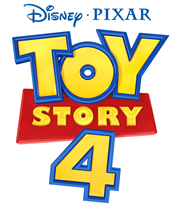 and produced by Jonas Rivera ("Inside Out," "Up") and Mark Nielsen (associate producer "Inside Out"), Disney Pixar's "Toy Story 4" ventures to U.S. theaters on June 21, 2019.